Ideas flow like water. Some of us catch them with a cup, others with a sieve. Hey I like that. I'll have to write that one down. Anyway, back to discussing finding time to write and sticking to it. A writer friend I know said that we all have a story inside of us. 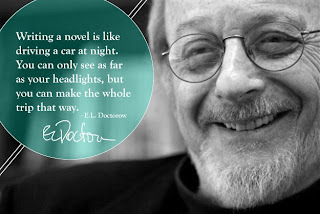 Those of us who are writers find a way to bring that story out. Many brand new writers fight against all kinds of obstacles (i.e., responsibilities.) Job. Home. Children. Life. Our inner critic. We can't avoid them. Not many of us are fortunate enough to be independently wealthy and can devote our entire time to writing. Our inner critic takes on all kinds of roles. It's that voice in our head that says the laundry needs to be folded before you write. It insists you dust the knick-knacks in the living room before you write. It whispers in your ear that your favorite tv show is on and you can't miss it. It also nags you about your writing dreams and cajoles you into thinking you'll never make it. Fight that inner critic, but don't gag its voice for good. You'll need it when it starts whispering to you in the middle of the night about a plot twist. You'll want to hear it tell you about the weak character build up in chapter three. Learn to choose what you want to listen to and then you'll find time to write and a desire to stay with your ideas. Before you know it you'll have your first draft done and you'll enjoy a satisfaction like no other. You wrote a novel. You started it, stuck with it, and finished it. Every writer needs time to find a routine that works for her. For some they wake early and put in a thousand words before work. Others stay up late and work into the early hours. I know writers who take a notebook or laptop to work and add to their manuscript during breaks and on their lunch time. No one writer has the perfect recipe for success that fits every writers' needs. However, we all have one major desire in common -- the desire to write. Here are some suggestions to help you catch those ideas rather than letting them flow away. 1. Keep a notebook beside your bed so you can jot down ideas as they come to you in the middle of the night. 2. Make it a habit to carry a small notebook and pen with you or your personal data assistant or handheld computer at all times. 3. Start a writing routine. Start small at first. For the first week try and find ten minutes every day to write. The next week add five more minutes, the next week add five more. Keep going until you settle into a routine that works best for you. 4. Join a writing group either online or in your city for support. There's nothing like getting encouragement from another writer. Writers are born cheerleaders. They'll help you figure out ways to stifle that inner critic when necessary. 5. Don't give up and keep writing. If you feel yourself losing steam, find creative ways to recharge yourself. Sometimes, it helps to read other authors. Seeing how they’ve crafted a story stimulates you to write again. If you falter, start again. It may take years to complete your first novel. That's okay. Anyone who says writing a novel is a piece of cake, they're lying. I've heard writers liken writing a novel to giving birth. I'm not sure if it's literally that painful, but it comes darn close! Thanks for such a great post. I have a hard time setting aside time to write. Since I do not make money writing, I feel bad about the time I spend on it when I should do more constructive things. At least that is what I tell myself. Your post gives me a new perspective. Roberta, thanks for stopping by. I'm glad this post was beneficial for you. Your writing is a part of who you are. Don't ever deny it. Give it a priority in your life. Good luck. Excellent article! I particularly liked the suggestion to keep a notebook next to your bed so that you can jot down the ideas that come to you in the middle of the night. I just wrote an article on my blog entitled "Writing In My Sleep" = it appears that this is my most creative time of day. Thanks, Ellis. I appreciate the comment. Your mind can really relax when you are in sleep mode and that can be some of the creative writing time you have . I've written and published 2 novels from dreams I've had. They were excellent dreams.